In The Age Factor in Second Language Acquisition, David Singleton concedes that in second-language instruction, “younger = better in the long run.” But this is a general rule with plenty of exceptions. The exceptions include the 5 percent of adult bilinguals who master a second language even though they begin learning it when they are well into adulthood, long after any critical period has presumably come to a close. Both research and the informal observations of those who are in daily contact with second-language learners suggest that an early start in a second language is neither a strictly necessary nor a universally sufficient condition for the attainment of native-like proficiency. Given the enormous variation in people’s experience of second languages—even (or especially!) in the classroom—this ought to be a truism. As John T. Bruer, author of The Myth of the First Three Years, states: “One of the dangers of the…emphasis on critical periods, is that it prompts us to pay too much attention to when learning occurs and too little attention to how learning might best occur.” Marshall agrees, pointing out that learning a foreign language in elementary school—what most researchers generally agree is the ideal time—is not a “magical tool for creating perfect second-language speakers.” Timing, in other words, is not everything. Many assume that critical learning periods apply not only to second-language learning, but to other school subjects, like math and reading. Such beliefs, writes Bruer, have “raised needless concerns among educators.” For instance, once a critical period is over, is “lost academic ground” irrecoverable? Such concerns arise from a simplistic and over-generalized application of critical periods to learning. The extreme view that children must learn a foreign language “early or not at all” grows out of popular images of critical periods as closing abruptly, like windows slamming shut. Unlike grammar learning, second-language phonological acquisition is subject to a sensitive period. The decline in “unaccented learning” of a foreign language is progressive, however, and not characterized by a predictably abrupt change. According to a study by James Flege, similar and not entirely novel sounds are the ones that are affected by age. In other words, new sounds are easier to pronounce with native-like accuracy than sounds that are similar but not identical to those found in one’s first language. Of vocabulary acquisition in one’s first language, Singleton writes, “there is no point at which vocabulary acquisition can be predicted to cease.” There is also, Singleton suggests, no critical period for learning vocabulary in a second language. What should be questioned or re-evaluated are the underlying assumptions that side-step the issue of how best to teach foreign languages. The “age at which one first encounters a second language,” explains Singleton, “is only one of the many determinants of the ultimate level of proficiency attained in that language.” We must not neglect other considerations, including what neuroscience is now telling us about how second languages might best be taught and learned. Bialystok, Ellen, and Hakuta, Kenji. In Other Words. BasicBooks, A Division of HarperCollins Publishers, Inc., 1994. Bruer, John T. The Myth of the First Three Years. The Free Press, A Division of Simon and Schuster Inc., 1999. Marshall, Brad. April 16, 2000. 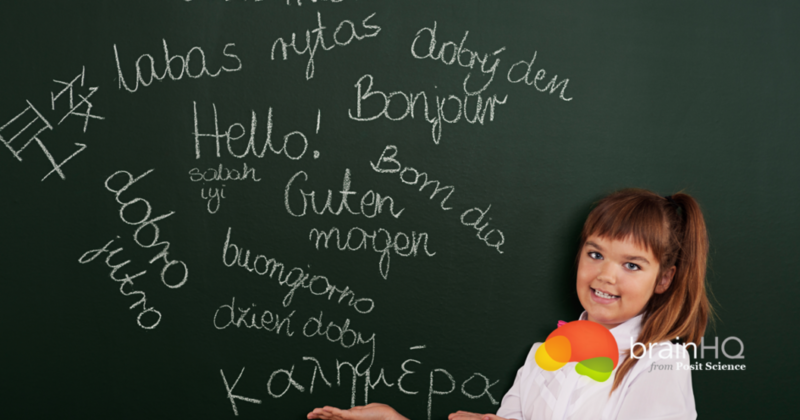 Is there a ‘child advantage’ in learning foreign languages? Education Week. Vol. 19, number 22, pages 39, 41. Singleton, David, and Lengyel, Zsolt. The Age Factor in Second Language Acquisition. Multilingual Matters Ltd., 1995.